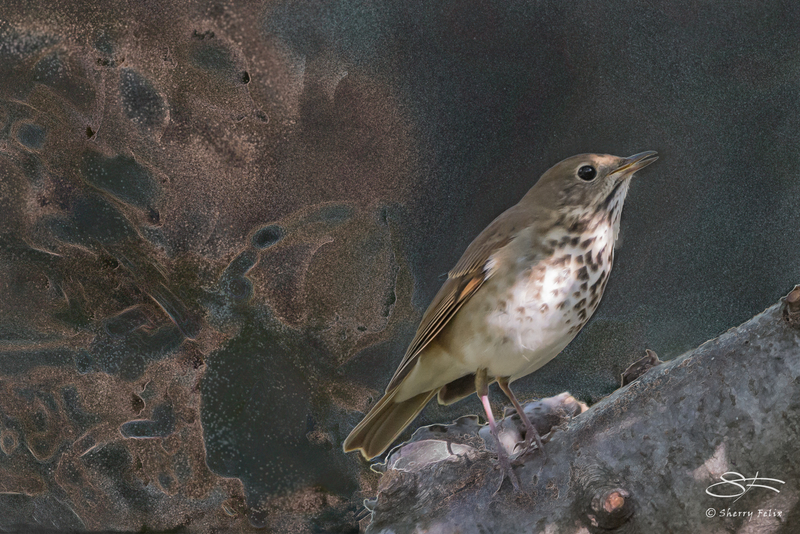 Tricks of layer styles and transparencies of a Corel Painter version of the Hermit Thrush in Photoshop produced this other worldly effect. I like this picture of the Hermit Thrush, because of its whimsical look. The colors are correct. You really understand camouflage from this picture. It is quite lovely. The bird stands out nicely from the somber background. Altogether and interesting image.